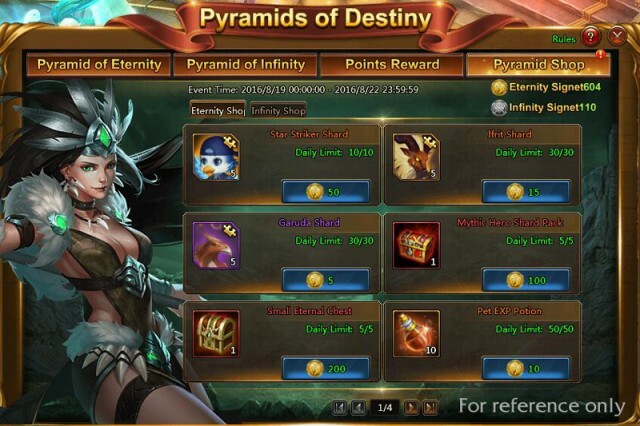 Conquer the Pyramids of Destiny and Recruit Star Striker! League of Angels II has a brand new game event for players! Test your fate and rush the Pyramids of Destiny! Make it to the top and earn amazing rewards, including the newest Battle Pet! 1.Click Rush to randomly receive one of the rewards on your current level. 2.When you get the left-most reward on a level, you will move to the next level. 3.When you reach the Top level, Rush to get the reward and restart at the start of the Pyramid. 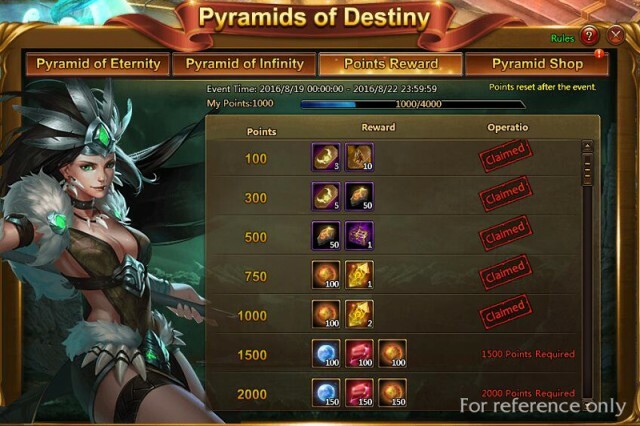 4.You will earn points for Rushing the Pyramids to can get additional point rewards. 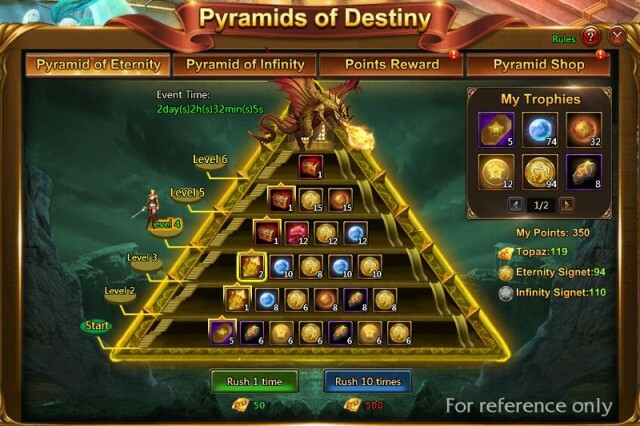 Players will find Eternity Signets and Infinity Signets when rushing the corresponding Pyramids. These Signets can be used to buy all kinds of items in the Pyramid Shop. In the current Pyramids of Destiny, players will have a chance to obtain the brand new Battle Pet Star Striker! Don’t miss the chance to recruit this cute winged champion to your squad!